Gregory S. Gordon, The Chinese University of Hong Kong Faculty of Law, has published Atrocity Speech Law: Foundation, Fragmentation, Fruition -- Introduction in Gregory S. Gordon, Atrocity Speech Law: Foundation, Fragmentation, Fruition (Oxford University Press, 2017). Jack M. Balkin, Yale Law School, is publishing The First Amendment in the Second Gilded Age in the Buffalo Law Review, 2019 (Forthcoming). Here is the abstract. How do we pay for the digital public sphere? In the Second Gilded Age, the answer is primarily through digital surveillance and through finding ever new ways to make money out of personal data. Digital capitalism in the Second Gilded Age features an implicit bargain: a seemingly unlimited freedom to speak in exchange for the right to surveil and manipulate end users. To protect freedom of speech in the Second Gilded Age we must distinguish the values of free speech from the judicially created doctrines of the First Amendment. That is because the practical freedom to speak online depends on a privately owned and operated infrastructure of digital communication to which the First Amendment does not apply. As a result, the protection of digital free expression has increasingly begun to detach from the judicial doctrines of the First Amendment. This makes the First Amendment increasingly irrelevant to protecting digital speech. Indeed, in the Second Gilded Age, the judicially created doctrines of First Amendment law become most important as potential obstacles to reform. They create constitutional difficulties for attempts to regulate private infrastructure owners in order to protect free speech values and personal privacy. Protecting freedom of speech in the Second Gilded Age requires us to focus on the political economy of digital speech: how we pay for the digital public sphere, the dangers the digital political economy creates for end users, and the kinds of reforms that would best protect their interests in speech and privacy. This essay uses the Facebook/Cambridge Analytica scandal of March 2018 to explain how the conditions that make free speech possible have changed from the twentieth to the twenty-first centuries. That controversy is a characteristic scandal of the Second Gilded Age because it centers on how digital infrastructure companies make their money and how they affect the public sphere in the process. The scandal also highlights a central problem for freedom of speech in the Second Gilded Age: Digital privacy undergirds our freedom of expression, but the way we pay for freedom of expression perpetually threatens our digital privacy and subjects us to dangers of manipulation and overreaching. The great irony is that an era that promised unbounded opportunities for freedom of expression is also an era of increasing digital control and surveillance. The same technological advances allow both results. The essay concludes by briefly introducing a reform proposal advocated in my previous work: that we should consider digital media companies as information fiduciaries who have duties of care, confidentiality, and loyalty toward their end users. The Committee to Protect Journalists has published its Global Impunity Index for 2018, a list which indicates the countries in which governments tolerate the murder of members of the media. At the top of the list is Somalia, followed by Syria, Iraq, South Sudan, and the Philippines. Here's the report, which includes the complete list and an explanation of CPJ's methodology. The Washington Post reports on Trump's continuing anti-mainstream media rhetoric here (subscription may be required) as does CNN here. Sonja West, University of Georgia School of Law, is publishing Presidential Attacks on the Press in the Missouri Law Review. Here is the abstract. President Donald Trump’s habit of hurling invectives at the press is disturbing. It undermines the work of the press and breaks long-standing norms that presidents show respect for the role of the Fourth Estate. But insults alone rarely raise First Amendment issues. Presidents have long used the bully pulpit to respond to or criticize news reports. Even Trump’s near daily verbal assaults on reporters and news organizations can be considered part of our country’s “uninhibited, robust, and wide-open” marketplace of ideas. Presidents have opinions too, and journalists should be able to handle his rants. Yet there are also times when Trump’s lashing out at the press go beyond mere name-calling, and he instead attempts to use the power of his presidency to punish or silence press organizations that displease him. In these instances, Trump is unsheathing an entirely different kind of weapon. When a president crosses the line from insulting the press to turning the wheels of government as a means to retaliate against news organizations for their reporting, the potential First Amendment violations become very real. The goals of this short Article are modest. It seeks simply to differentiate the various ways Trump has attacked the press, to emphasize that we should not view them all through the same constitutional lens, and to bring attention to the most serious type of offense. Unsurprisingly, it is Trump’s attempts to employ the power of the federal government to retaliate against the press that raise the most troubling constitutional concerns. Jessica Magaldi, Pace University, and Wade Davis, Minnesota State University, Mankato, are publishing Trolling Twitter: Defamation in an Online World in volume 10 of the Journal of Critical Incidents. Here is the abstract. The Critical Incident stems from an extended exchange of comments over Twitter between film actor James Woods and an anonymous Twitter user under the pseudonym “Abe List.” Both users seemed to revel in the messy, rambunctious and often impolite milieu of Twitter. In the course of their Twitter war, Abe List tweeted, “cocaine addict James Woods still sniffing and spouting.” The comment made use of the popular internet meme of asking whether someone is “high” or “smoking crack” to challenge that person’s position as crazy or outrageous. Woods sued Abe List, characterizing his tweet as defamation alleging that Abe List jeopardized Woods’ good name and reputation. Had the 140-character free-for-all that the two engaged in left Abe List vulnerable to a claim of defamation? Could Abe List be liable for tweets that were very much like Woods’ own tweets? Genevieve, Lakier, University Lakier, University of Chicago Law School, is publishing Imagining an Antisubordinating First Amendment in volume 119 of the Columbia Law Review (2018). Here is the abstract. Over the past forty years, the political economy of the First Amendment has undergone a significant shift. If in the early and mid-twentieth century, litigants that won First Amendment cases tended to be civil right groups like the NAACP, proponents of minority religions, and other representatives of the marginalized and the disenfranchised, these days, the winners in First Amendment cases are much more likely to be corporations and other economically and politically powerful actors. Scholars have provided two explanations for the change. Some have argued that it is a consequence of the decision to extend constitutional protection to commercial speech and to corporate speakers. By interpreting the guarantee of freedom of speech too expansively, they argue, the Court has allowed the First Amendment to be “hijacked” by corporations and other business groups and turned into a tool of economic deregulation and corporate power. Others attribute the shift in the demographics of the First Amendment’s beneficiaries to the excessive libertarianism of the contemporary Court. They argue that it is the Court’s tendency to treat free speech interests as more important than almost any other competing interest that has produced a First Amendment jurisprudence that is so good for corporations, relative to everyone else. In this Essay, I suggest a third explanation. I argue that the shift in the First Amendment’s political economy is not entirely—or even primarily—a consequence of an excessively expansive interpretation of the Speech Clause’s scope. Nor is it a result of the Court’s free speech libertarianism. Indeed, in what follows I challenge the idea that the contemporary Court is particularly libertarian when it comes to freedom of speech. What it reflects instead is the Court’s embrace over the past several decades of a highly formal conception of the First Amendment equality guarantee. Taking stock of the present state of contemporary free speech jurisprudence thus requires taking stock of this change in the Court’s understanding of expressive equality. It also has normative implications. If the problem posed by the contemporary free speech doctrine is simply that it renders too much ordinary economic activity subject to judicial scrutiny, and that it makes that judicial scrutiny too demanding when it applies, then the obvious response is to narrow the scope of the First Amendment and to weaken the intensity of its protections. But if the problem with contemporary free speech doctrine is an egalitarianism that tends to favor both government and private power, what we need is not a weaker and a narrower First Amendment but a different First Amendment: one that functions better to protect the expressive freedom of the powerless. What we need to change, in other words, is not the strength of the speech right but its meaning. This Essay begins the work of charting out that alternative, what I call, “antisubordinating,” First Amendment by pointing to the areas of case law in which the Court has attempted to vindicate a more substantive conception of expressive equality. It looks to the Speech Clause’s past in an effort to think more creatively about its future. Amanda Clarke, Carleton University School of Public Policy and Administration, and Benjamin Pipe, National Judicial Institute, have published A Legal Framework to Govern Online Political Expression by Public Servants at 21 Canadian Labour and Employment Law Journal 1 (2018). Here is the abstract. This paper considers the extent to which public servants should be allowed to engage in political activities in online fora such as Facebook, Twitter, and YouTube. The question of the appropriate balance between the principle of political neutrality binding public servants and their Charter-protected right to political expression has been extensively addressed in the case law. However, the framework set out in the existing jurisprudence was developed in the context of more traditional forms of political engagement, and fails to provide clear guidance in an age when the political activities of public servants, like those of Canadians as a whole, have to a large degree migrated to social media and other platforms on the web. In an effort to remedy this deficiency, the authors lay the foundation for a revised framework for assessing the permissibility of online political activity by public servants, consisting of four analytical factors: the level and nature of a public servant’s position; the visibility of the online activity; the substance of the online activity; and the identifiability of the online actor as a public servant. Adopting this test, the authors contend, would enable adjudicators to strike a reasonable balance between freedom of expression and the principle of political neutrality, by recognizing that in today’s world both politics and life as a public servant play out online. Some advertisers are suing Facebook over what they say is overestimation of user video viewing, which they say meant advertisers were more inclined to pay for video ads on Facebook than on other social media. Plaintiffs now allege that Facebook knew for at least a year before its announcement of the overestimation that its metrics were problematic. From the complaint: "Internal records recently produced in this litigation suggest...that Facebook's action rises to the level of fraud....Facebook did not discover its mistake one month before its public announcement. Facebook engineers knew for over a year, and multiple advertisers had reported aberrant results caused by the miscalculation....Yet Facebook did nothing to stop its dissemination of false metrics." More here from the BBC, here from CNBC. here from Gizmodo. Here's a link to the amended class action complaint. Taurus Myhand, University of Alabama School of Law; American Bar Association, Journal of the Legal Profession, is publishing Redefining the Reasonable Person in Police Encounters: The Impact of the Mainstream News Media's Portrayal of Modern Police Conduct in the University of Detroit Mercy Law Review. Here is the abstract. Who is the “reasonable person”? There is little doubt that every competent legal professional, both in law practice and in the academic setting, has spent a great deal of time attempting to define the reasonable person. “Reasonableness is largely a matter of common sense.” In police encounters, the definition is certainly important to the outcome of questionable police conduct. How the reasonable person is defined often determines whether a police officer has infringed on an individual’s Fourth Amendment guarantee to be secure in their person against unreasonable searches and seizures. As the narratives of the news media shape how some individuals view police conduct, undoubtedly, the changed attitudes will affect how those individuals respond should they be involved in a future police encounter. This article explores the need for the courts to apply a redefined reasonable person analysis to the Mendenhall test in light of the changing perceptions of modern police conduct due to, at least partly, the mainstream news media’s unprecedented coverage and depictions of police violence. To that end, news media outlets exert an enormous amount of influence over how consumers perceive stories related to police conduct through the power of “framing”. The way a story is framed determines how individuals think about a particular issue or event. In fact, the framing has led to the Pavlovian Conditioning of many of the news media’s consumers, resulting in the need for redefining the reasonable person in police encounters by the courts. 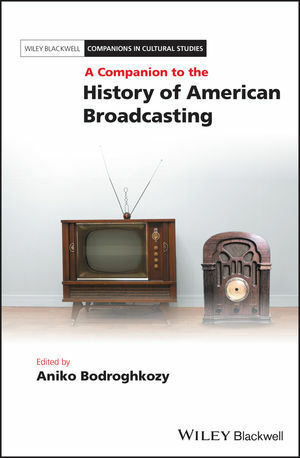 New(ish): From August 2018: A Companion To the History of American Broadcasting (Aniko Bodroghkozy, ed., Wiley, 2018). Evelyn Aswad, University of Oklahoma College of Law, is publishing The Future of Freedom of Expression Online in the Duke Law & Technology Review. Here is the abstract. Should social media companies ban Holocaust denial from their platforms? What about conspiracy theorists that spew hate? Does good corporate citizenship mean platforms should remove offensive speech or tolerate it? The content moderation rules that companies develop to govern speech on their platforms will have significant implications for the future of freedom of expression. Given the prospects for compelling platforms to respect users’ free speech rights are bleak within the U.S. system, what can be done to protect this important right? In June 2018, the United Nations’ top expert for freedom of expression called on companies to align their speech codes with standards embodied in international human rights law, particularly the International Covenant on Civil and Political Rights. After the controversy over de-platforming Alex Jones in August 2018, Twitter’s CEO agreed that his company should root its values in international human rights law and Facebook referenced this body of law in discussing its content moderation policies. This is the first Article to explore what companies would need to do to align the substantive restrictions in their speech codes with the key international standard for protecting freedom of expression. The Article concludes it would be both feasible and desirable for companies to ground their speech codes in this standard though further multi-stakeholder discussions would be helpful in clarifying certain issues that arise in translating international human rights law into a corporate context. PENAmerica is suing Donald Trump over certain acts that he has taken as President and comments that he has made while in office that PEN alleges that have "violated the First Amendment and his oath to uphold the Constitution." Among them are Trump's comments indicating his unhappiness with Amazon and Washington Post owner Jeff Bezos and his threat to bring an antitrust action against Bezos. Link here to the complaint, filed in the Southern District of New York. More here from the AP. Moran Yemini, Center for Cyber, Law and Policy, University of Haifa; Information Society Project, Yale Law School, is publishing The New Irony of Free Speech in volume 20 of the Columbia Science and Technology Law Review (2019). Here is the abstract. In his The Irony of Free Speech, published in 1996, Professor Owen Fiss argued that the traditional understanding of freedom of speech, as a shield from interference by the state, ended up fostering a system that benefited a small number of media corporations and other private actors, while silencing the many, who did not possess any comparable expressive capacity. The conventional wisdom is that by dramatically lowering the access barriers to speech, the Internet has provided a solution to the twentieth-century problem of expressive inequality identified by Fiss and others. As this article will demonstrate, however, the digital age presents a new irony of free speech, whereby the very system of free expression that provides more expressive capacity to individuals than ever before, also systematically diminishes their liberty to speak. The popular view of the Internet as the ultimate promoter of freedom of expression is, therefore, too simplistic. In reality, the Internet, in its current state, strengthens one aspect of freedom (the capacity aspect) while weakening another (the liberty aspect). It trades liberty for capacity. The article will explore the process through which expressive capacity has become a defining element of freedom in the digital ecosystem, at the expense of liberty. The process of diminishing liberty in the digital ecosystem follows along six related dimensions explored in this article: interference from multiple sources; state-encouraged private interference; multiple modes of interference; new-media concentration; lack of anonymity; and lack of inviolability. The result of these liberty-diminishing dimensions of our current system of free expression, taken together, is that while we may be able to speak more than ever before, we are not able to speak freely. In New York magazine, a discussion of Egyptian laws that forbid "fake news," and how the government uses them to tamp down dissent and criticism. Notes the magazine, "Under the Egyptian legislation, social-media accounts and blogs with over 5,000 followers are officially considered media companies and are subject to stricter censorship requirements. By treating anyone with a blog and modest following the same as a larger media company, the Egyptian government is effectively quashing criticism from any citizen possessing cultural sway. Using “fake news” as a stand-in for censorship, the Egyptian government is also weaponizing legitimate concerns of misinformation toward speech it finds unfavorable to state leaders. It sounds dishearteningly familiar."